We have been amazed with the number of brides to be who have been selecting a sapphire engagement ring over the more traditional diamond center. We have been adding constantly to our selection of these beauties and currently offer over 75 different high quality sapphire engagement rings to choose from. Most all are set in platinum and white gold in both solitaire styles and with diamond accents. A few websites we follow have featured posts about our sapphire engagement rings and give some additional information on why their readers should consider one. 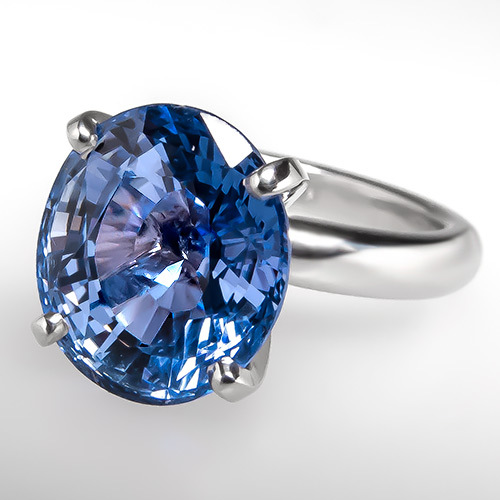 Here is one of our favorites, a natural 6 carat icy blue oval cut sapphire in platinum, Enjoy!